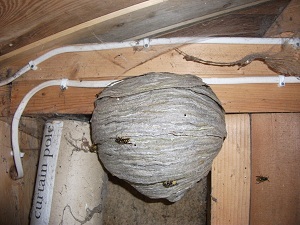 Wasp and hornet nest destruction the same day wherever possible. All treatments are guaranteed. If a nest needs a second treatment for whatever reason, you will not be charged for re-treatment. Weekend, evening and bank holiday treatments are no problem and no premium is charged. Wasp nest out of my area?